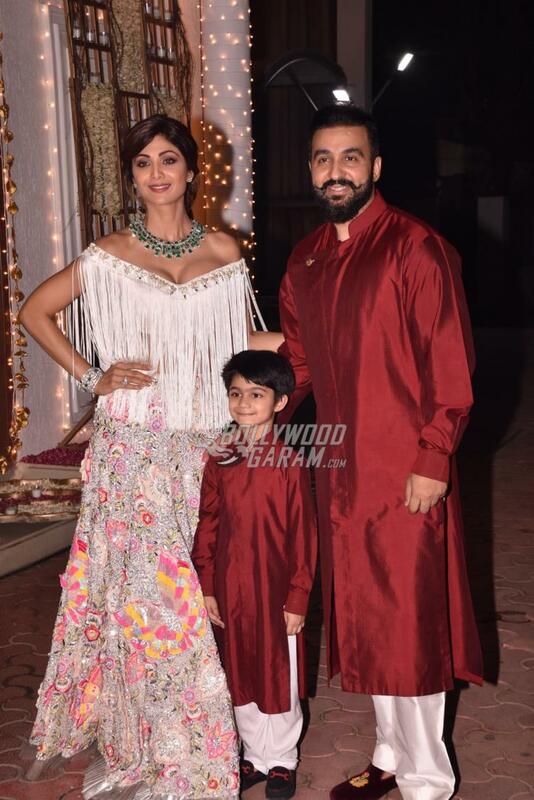 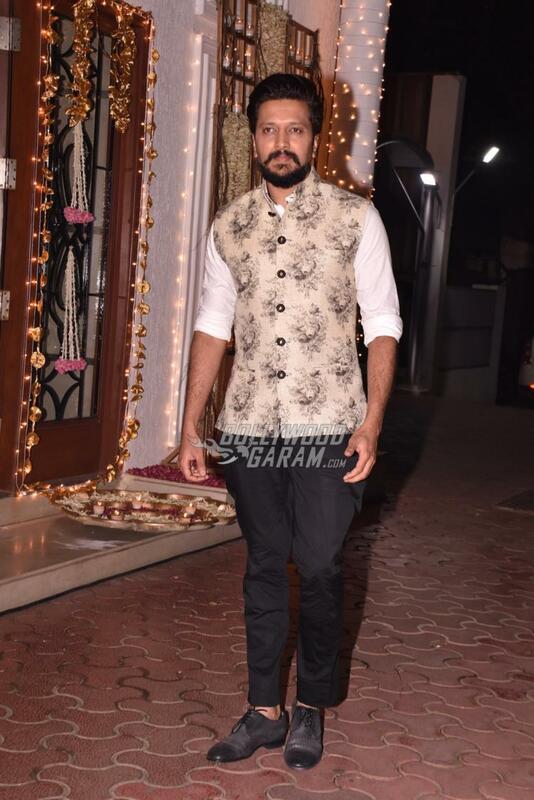 Shilpa Shetty and Raj Kundra hosted a Diwali bash for friends and family members at their residence in Mumbai on October 19, 2017. 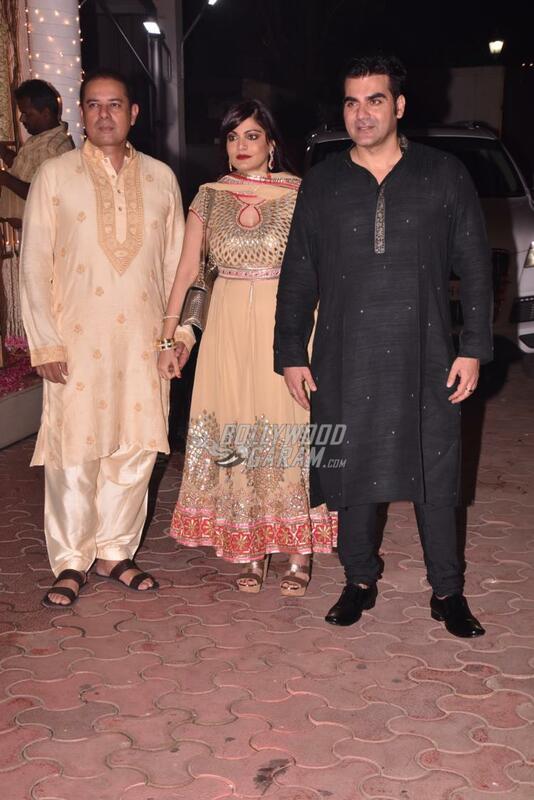 Shilpa along with husband Raj and son Viaan were all smiles and poses for the shutterbugs as they greeted the media. 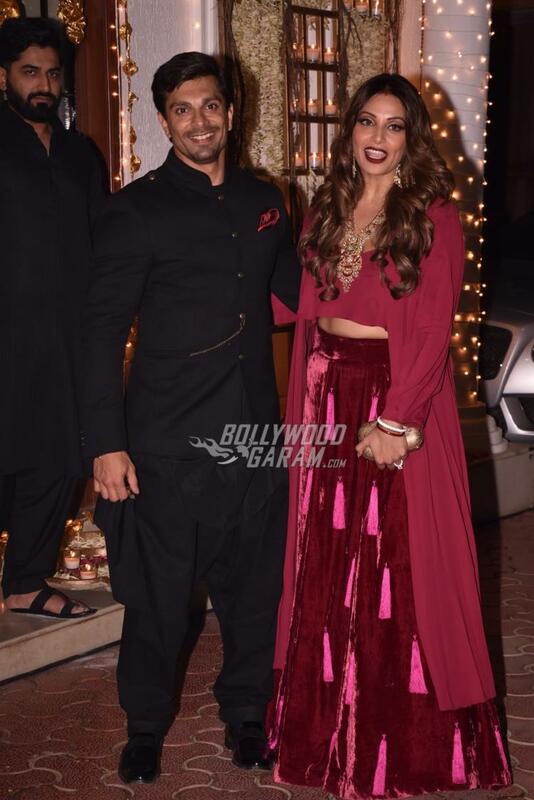 The Dhadkan actress looked splendid in Indo-western outfit while Viaan and Raj twinned and looked great as they wore same outfits. 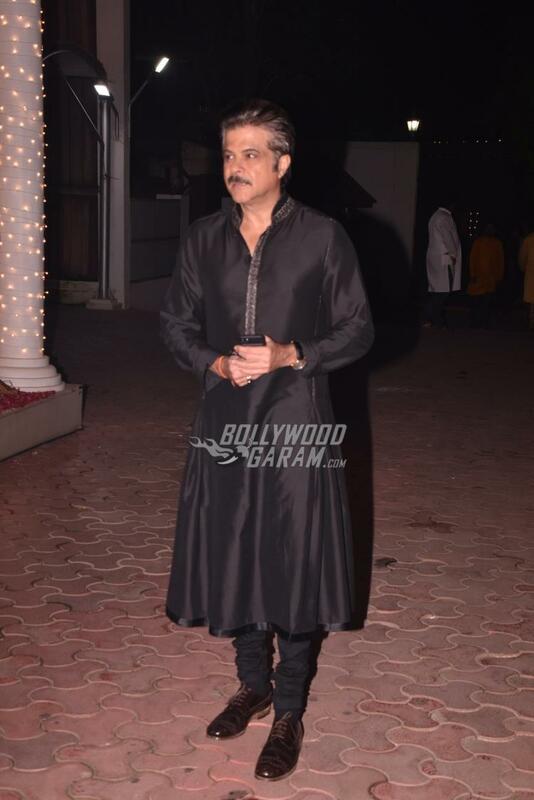 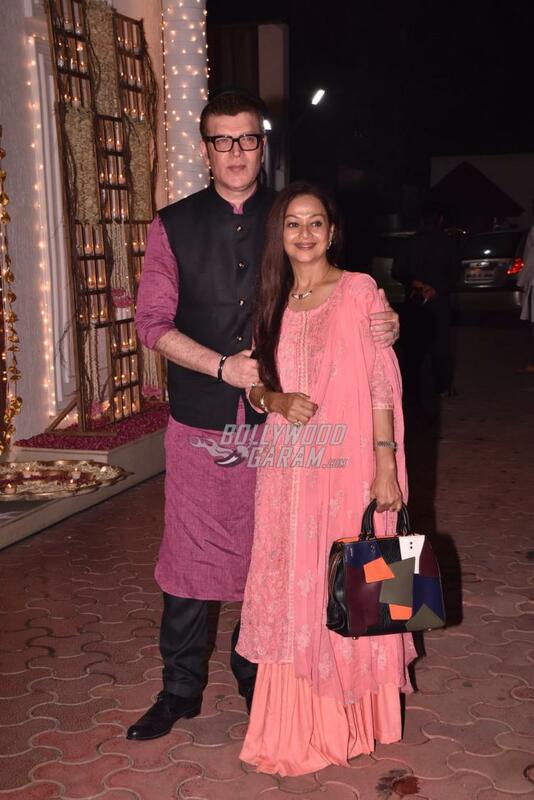 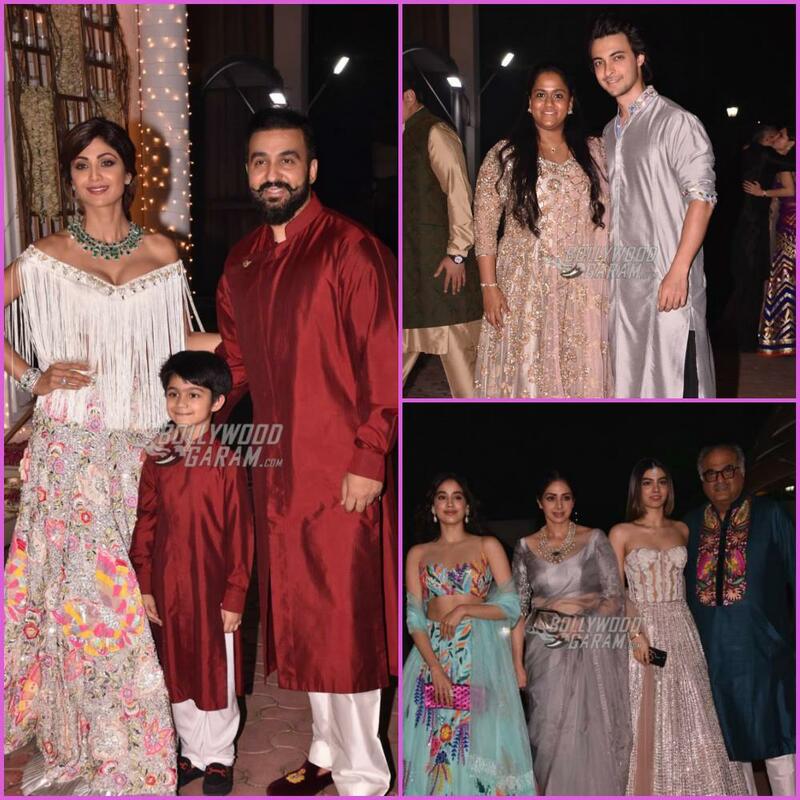 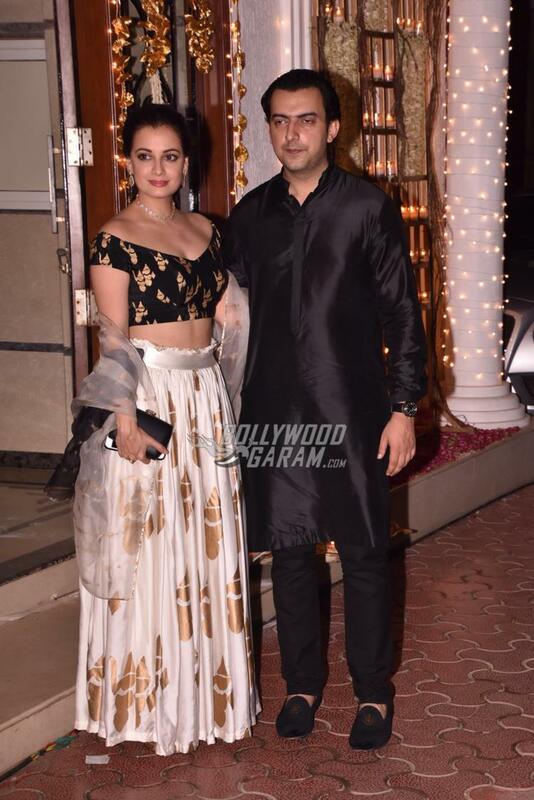 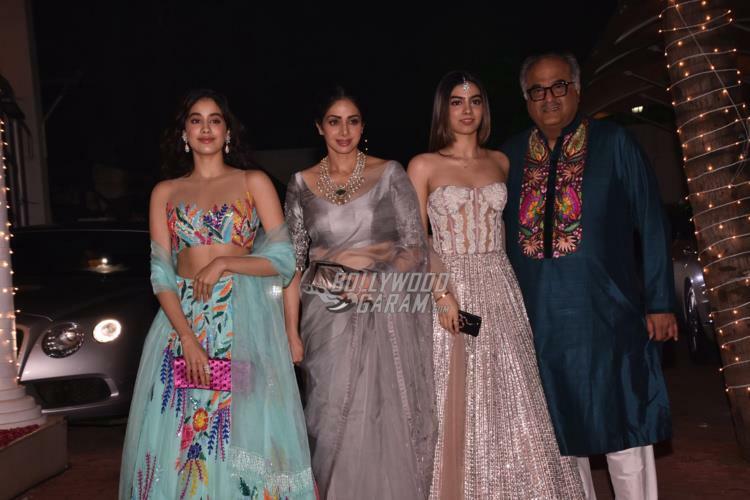 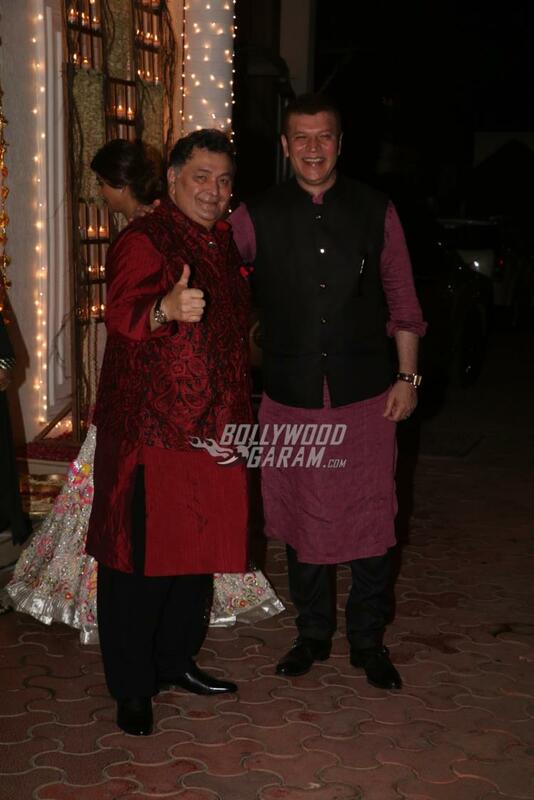 Shilpa’s Diwali bash also saw the presence of Shamita Shetty, Arbaaz Khan, Deepak Tijori, Alvira Khan, Sunanda Shetty, Sanjeeda Sheikh and Aamir Ali, Shirish Kunder and Farah Khan, Rishi Kapoor, Sooraj Pancholi, David Dhawan, Neelam and Samir Soni, Aditya Pancholi and Zarina Wahab, Soha Ali Khan and Kunal Kemmu, Anil Kapoor, Arpita Khan and Aayush Sharma, Riteish Deshmukh, Pooja Hegde, Sridevi and Boney Kapoor, Jhanvi Kapoor, Khushi Kapoor, Manish Malhotra and others. 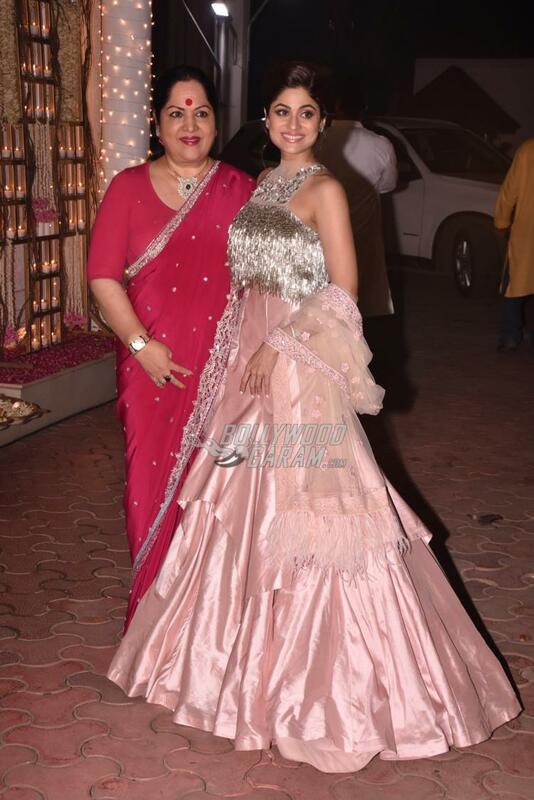 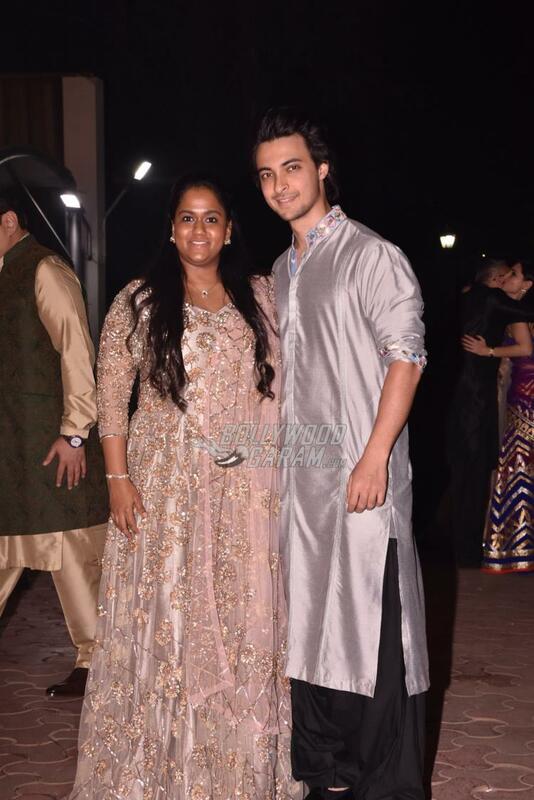 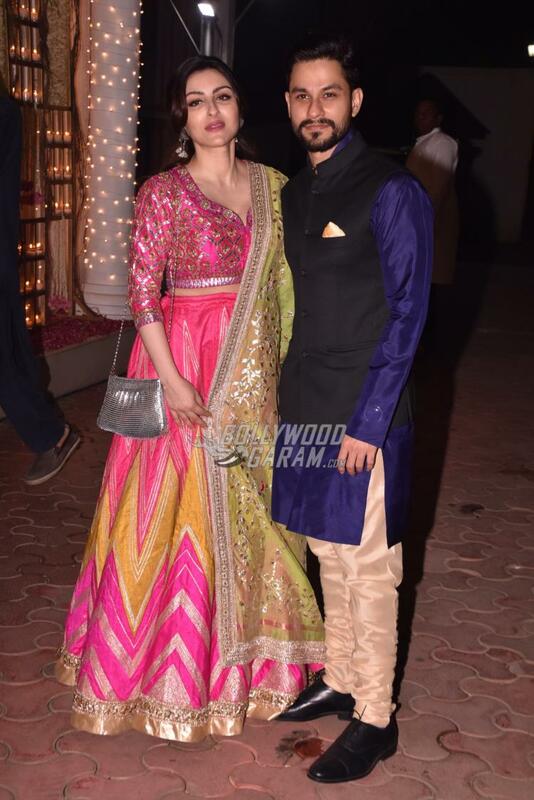 Shilpa’s sister Shamita grabbed everyone’s attention as she looked gorgeous in a glittery pink lehenga.